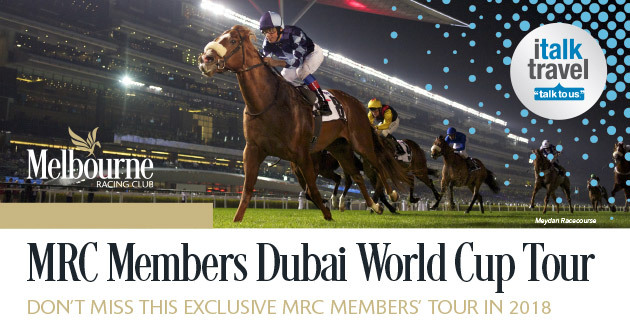 Following the popular MRC Member Tour to Hong Kong last year, this new tour offers a great opportunity for our loyal members to visit one of the most desirable destinations in the world and witness racing history at the Dubai World Cup, a race worth more than 10 million dollars. Please find all of the details regarding this tour below. 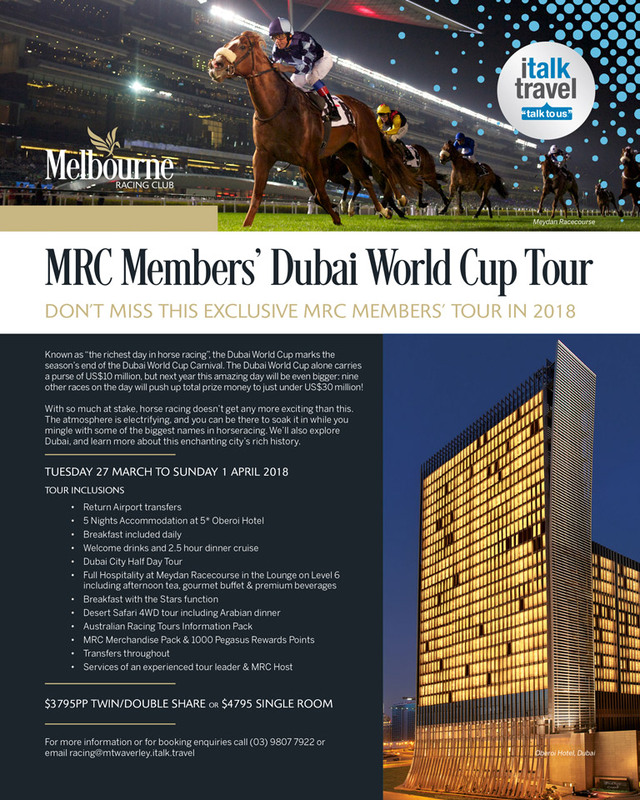 Be sure to book quickly to avoid missing out!